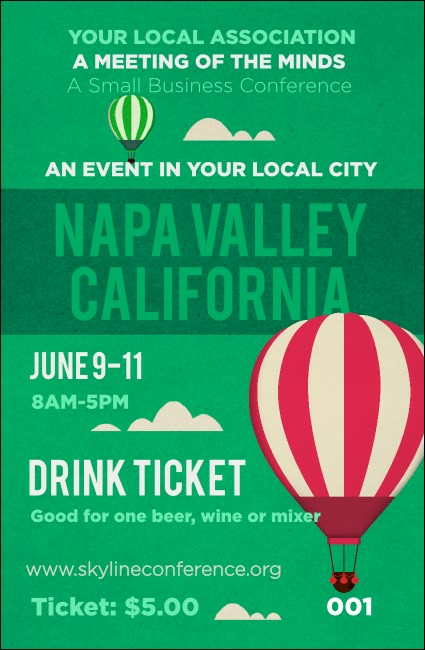 Invite your guests to quench their thirst in wine country when you print Napa Valley Drink Tickets for your next Northern California event. Let your guests sample the all the best brands with tickets that feature a beautiful bright green background with a pink and white stripped hot air balloon. TicketPrinting.com has the right ticket for your tasting.